An earlier vintage of Dom Pérignon. Photo by C., 2012. Some time ago, The Drinks Business reported that the next vintage of Dom Pérignon to be the released will be the 2009, in June this year. There will be no 2007, and release of the top vintage 2008 will be dealyed until after the 2009. We will have to wait and see if the 2008 is released in mid-2018 or only in 2019. 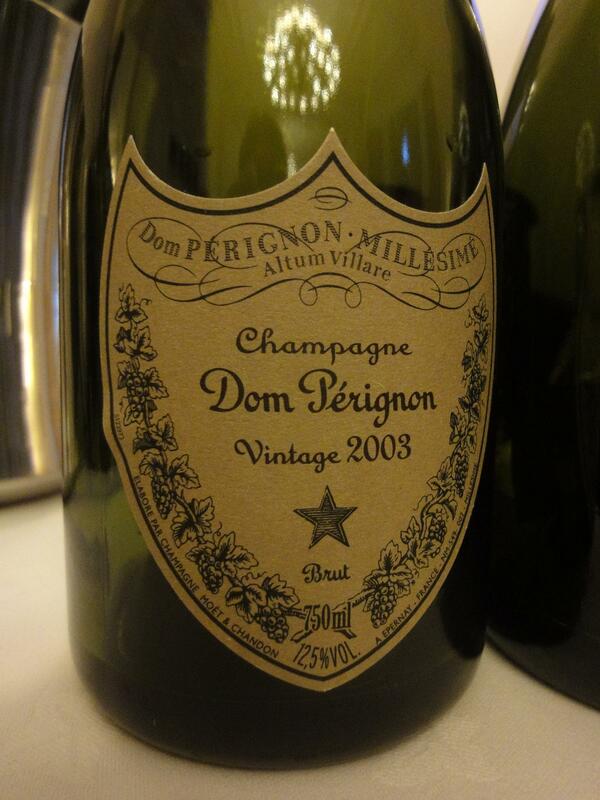 This means that the order of release for Dom Pérignon will be 2006 – 2009 – 2008. This means that Dom Pérignon will be released in eight out of ten vintages in the period 2000-2009 (the exceptions are 2001 and 2007), to be compared to seven during in the period 1990-1999 (there was no 1991, 1994, or 1997). In a way it is somewhat unexpected that “DP” skipped the 2007, since it tends to show good acidity and some firmness in its youth, and doesn’t aim for the heaviest style. In my opinion, 2007 has turned out to be a good vintage for firm and somewhat lean blanc de blancs, but perhaps less for full-bodied Pinots, and this vintage style should fit DP reasonably well. On the other hand, they did release 2003, which was a bit of a surprise and sort of indicates that they don’t really shy away from ripe vintages. The same decision regarding 2008/2009 was taken by Roederer regarding their Cristal, which was mentioned by their winemaker already in 2014. The 2009 Cristal was released last year and the 2008 Cristal will probably be released later this year. For Cristal, the order of release was 2006 – 2007 – 2009 – 2008. Cristal will also be released in eight vintages 2000-2009, but skipped 2001 and 2003. Another producer that did the same trick with 2008/2009 is the small grower Pierre Péters with their Les Chetillons. The 2008 was released last year. In a sense, it is somewhat curious that Dom Pérignon changed the release order of 2008/2009 when they didn’t do so for 2002/2003. (On the other hand, the 2003 of the regular vintage Moët & Chandon was released before 2002. The 2008 has already been released, but not the 2009, if it was produced.) I assume this decision was influenced both by the style of the well-balanced and rather acidic top vintage 2008, which should benefit from more cellaring, and the style of the ripe 2009 vintage. If 2009 had followed a more regular vintage, there would probably have been less reason to invert the order of release. In my opinion, 2009 is not really an “extreme” Champagne vintage in the same way 2003 is. (This is based on my experience from tasting “regular” vintage Champagnes, not the prestige cuvées.) So it is very understable that Krug chose to release their 2003 before their 2002, once they took the decision to release a 2003. This year, Dom Pérignon will also release the 2005 rosé (they regularly release their rosé a few years after the white version, which is not common among other producers), and the 2000 vintage of the late-disgorged P2, “Plénitude Deuxième“, formerly known as Œnothèque. Since the previous P2 vintage was the 1998, it seems that they will release the 2000 P2 before the 1999 P2, although this is not explicitly mentioned. I consider 1999 as a better Dom Pérignon vintage than the 2000, so it would surprise me if they have cancelled the release of the 1999. So far, all DP vintages have also been released as Œnothèque/P2. This entry was posted in 2009, Champagne. Bookmark the permalink.